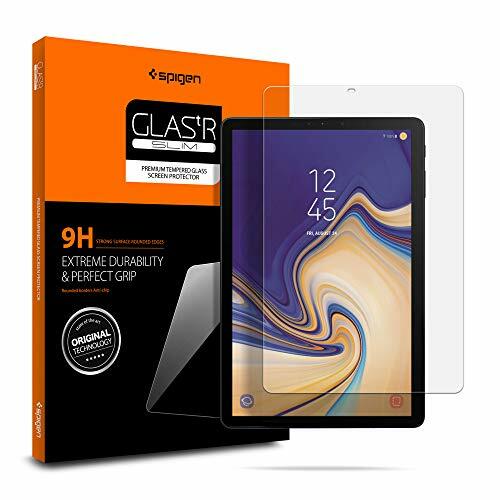 Spigen Tempered Glass Screen Protector for Samsung Galaxy Tab S4 [10.5 inch] is made to protect. Extreme clarity preserves the original screen brightness. TrueTouch Sensitivity with an antibacterial cover for an invisible and perfect protection on touch screen.